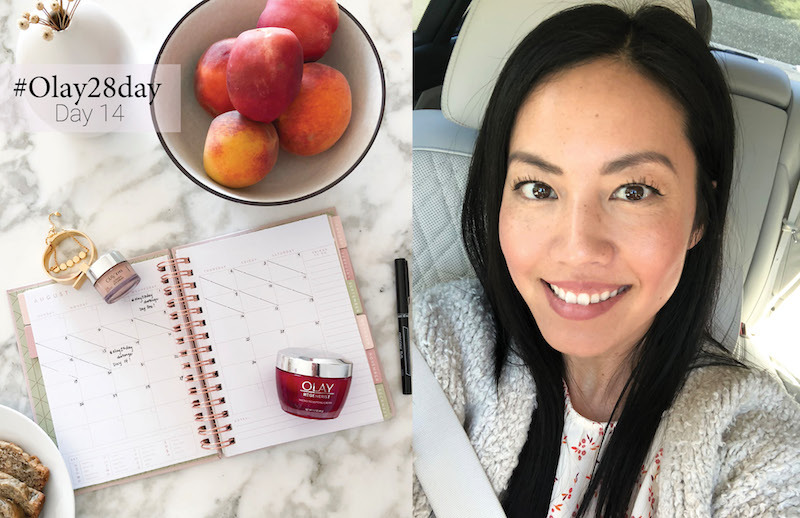 Earlier this month I embarked on a fun challenge with the team at Olay: put Olay’s Regenerist Micro Sculpting Cream + Ultimate Eye Cream to the test over the next 28 days in August, i.e. 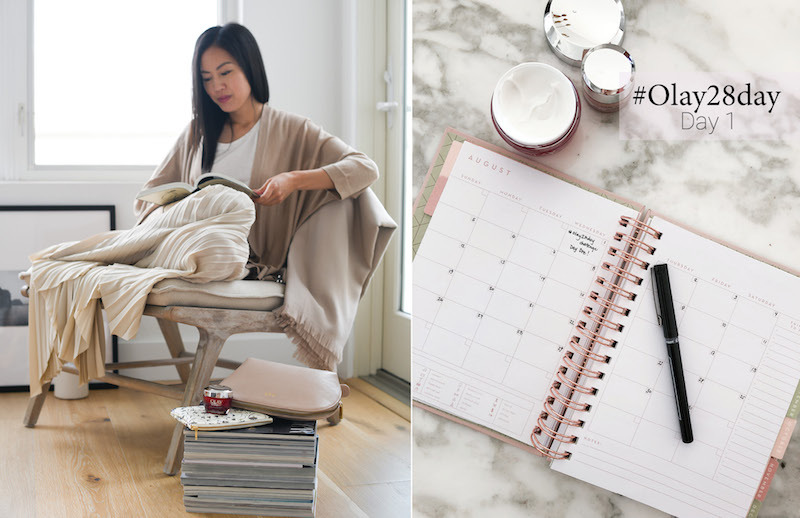 the #Olay28Day Challenge! The timing couldn’t have been better – with all of our favorite outdoor summer activities, newly installed air conditioning (we get an insane amount of sun in our house, which is amazing but can also be super uncomfortable on our warm days), and recent air travel, my skin was primed for some extra love in the form of a strict regimen and dedicated time. I’m so excited to share my progress over the last 28 days! August 1st was a busy one! Lucia was about to turn 5 and we were about to throw her a birthday party for the first time since she turned 1! Running around doing the juggle: work, errands, pick up decorations, place cake and food orders… It was actually a relief to set everything aside that night and turn to my new #olay28day challenge ritual: warming the Regenerist Micro Sculpting Cream into my palms, massaging it all over my face and patting it in for good measure. Then came the Ultimate Eye Cream: I read somewhere years ago that you should apply eye cream using your ring finger. I have no idea if it’s backed by science [shrug!] but it has become a habit over the years nonetheless. Tap, tap, tap and repeat! The whirlwind that was Lucia’s birthday weekend was both exhilarating and exhausting! With that fun weekend squarely behind us, I found myself on day 14 within a blink of an eye. I’m not one for selfies usually, but my skin was feeling great! It felt hydrated and moisturized throughout the day and the texture had improved too. Softer, smoother and brighter. How is August already coming to an end? I officially have a Kindergartner(!) and work has been keeping me on my toes. I’ve been having fun with this challenge, making it a point to take the time to care for my skin and it shows. My skin feels firmer, smoother and… is it really possible that the fine lines around my eyes are a tad less noticeable? I think so! So – what do you think? 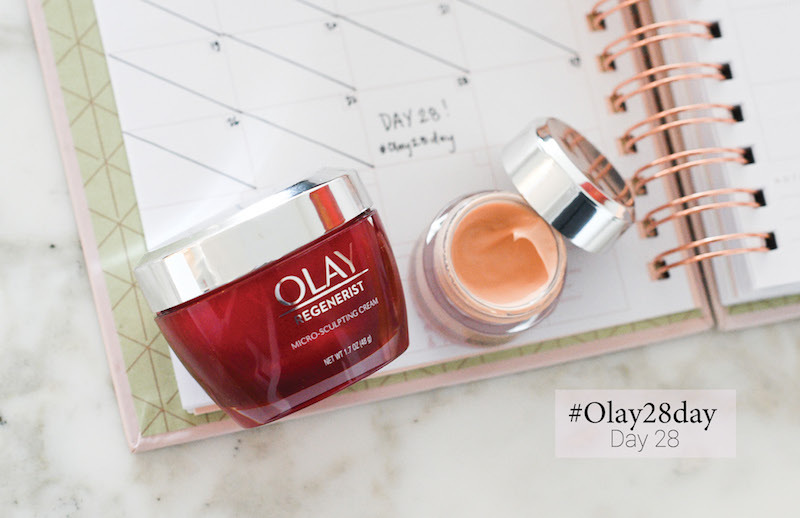 Are you up for the #Olay28Day Challenge? This was so fun to participate in and loved sharing my progress. Thank you, Olay for partnering with me! Olay is always a good beauty product … love ♥️ their lines. Merci for sharing this fun challenge! ???? You look wonderful! Can you tell us about your pink jacket?